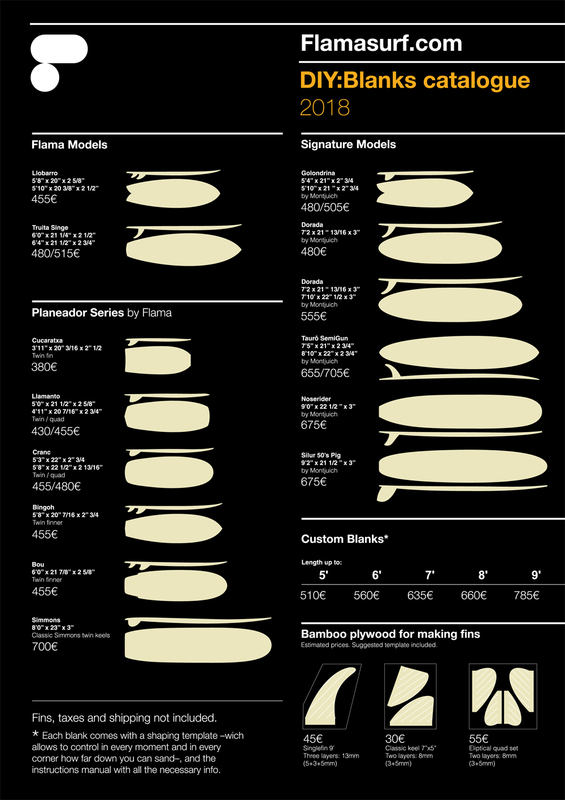 FlamaClassic Blanks (hollow construction) are made to be shaped the same way and with the same tools than a foam blank. And when the shape is finished the board only needs to be oiled or varnished. That simple. No fiberglass or any other chemicals are needed. 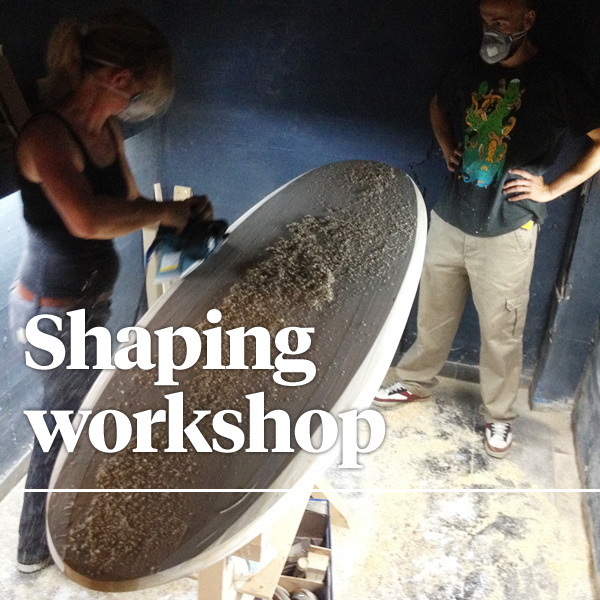 This workshops are based exclusively on the shaping process. Order one of our blanks, choose some dates and come to our shop to shape your board. You’ll get a “10 hour pack” to make all the work start to end, wich you can use at your convenience. We’ll give you all the advice and help throughout the process so you go back home with the surfboard of your dreams.We’ll be talking about surfboard hydrodynamics, and you will learn how rails, rocker, concaves and fins interact with water, and how they can affect your board and your surfing. You’ll also get to know how we build our blanks, and we’ll teach you on how to take care of your board or how to make your own repairs. We recommend a minimum of 2 days to completely shape the board and install fins. After that, a third day is needed to apply a couple coats of varnish, but you can as well take the board untreated and decorate and varnish it at home, which is very easy. Our facilities (map) are located between El Masnou and Premià de Mar, 25′ by train from Barcelona’s city center, 5′ from the beach. You can shape in the morning and do some turism in the afternoon, or if we’re luky and the Mediterranean delivers some waves, you’ll be able to try any of the test boards we have in the shop. The workshop is only 10′ walk from Premià de Mar train station, so it’s possible to stay in Barcelona and come over to the shop every day. There is also a camping ground and a youth hostel in El Masnou (20 min. walk by the beach to our shop). There are also B&Bs and hotels in Premià de Mar (10′ walk to the shop). Ask for more info. These workshops are fully personalized. Contact us to know availability and any doubts you may have.